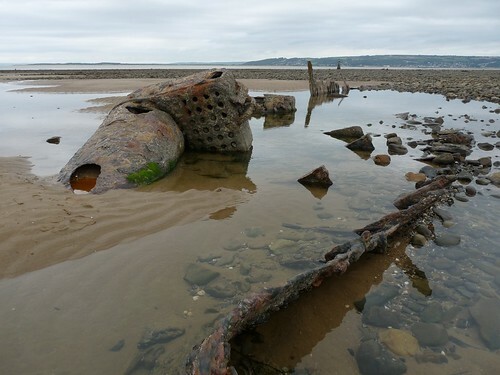 After exploring Whiteford Sands I arrived at Whiteford Point to discover another Gower shipwreck that I had not previously explored. 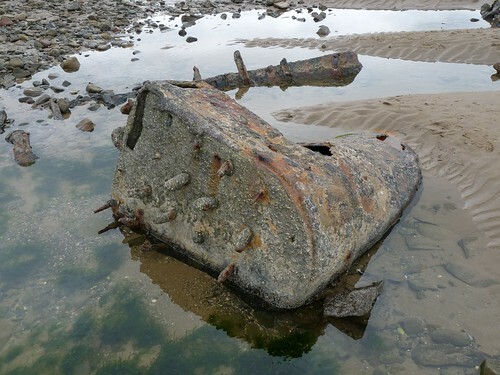 Unlike the famous Helvetica at Rhossili, this wreck is predominantly metal and has a few key features still visible. 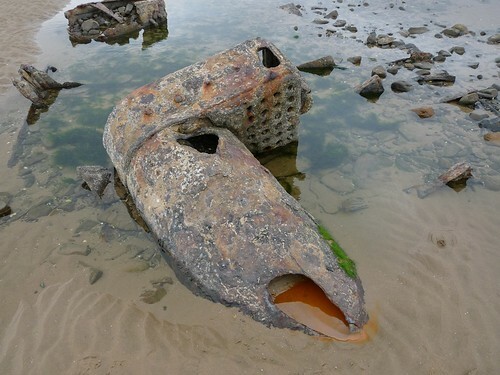 The primary artifact is the large boiler that would once have powered this ship. Amazingly after all these years the boiler is still within the confines of the rusting hull, in what must not be far from its original position. As for what this ship once was, the details are as always a little hazy. The closest candidate that I have found is not in fact one ship but nineteen, all of which were wrecked near this location during terrible storms on 22nd January 1868. Imagine if you will a late Sunday evening as a fleet of nineteen coastal sailing vessels leave Llanelli, heading up the Burry Inlet to the open ocean. Each of the ships is carrying between 80 to 400 tonnes of coal and forms a chain of six vessels behind a single steam tug. The tugs task is to get the sailing vessels clear of Burry Holmes to allow them to safely sail under their own power with what little wind is present and the aid of an outgoing tide. Despite bad weather the previous day, this night is relatively still so many of the sailors are at ease. Suddenly the wind dies down completely and the the tide turns. The swell of the sea builds up to such a level that waves began traveling up the estuary without breaking. The result is simply catastrophic. As the ships attempt to drop their anchors the swell drags them along the sea bed, their sails useless to fight back with. As the waves rise and fall the boats are lifted up before being smashed onto sandbanks. 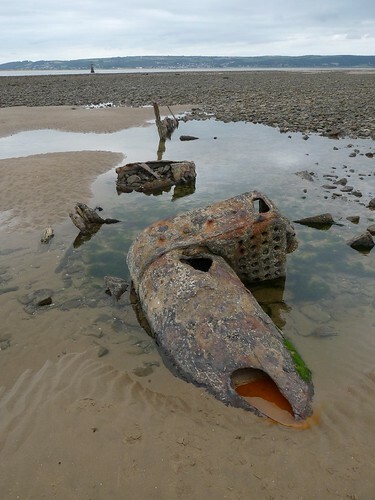 Many boats lose their bottoms this way and simply sink in the middle of the estuary. Others are dashed onto the rocks or washed up onto the beach. The next day must have presented a shocking scene. The beach from Whiteford Point to Burry Holms was strewn with the detritus from the night before. 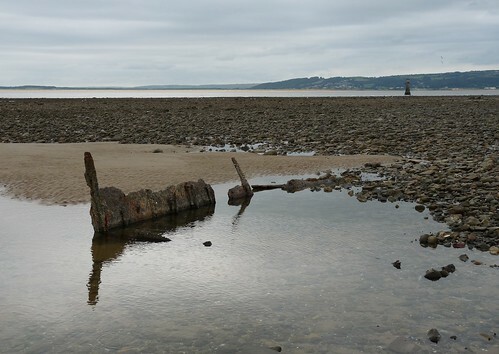 In all nineteen lives were lost, as well as four ships belonging to Llanelli; the Onward, Amethyst and Jennie Celine foundered with all hands, while the Brothers, the Huntress and Roscius were among those that stranded on the sands. In all three ships made it out into the bay that night. 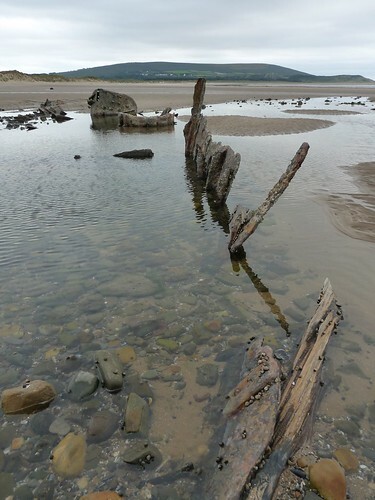 Two ultimately reached their home ports, whilst the third was wrecked in Rhossili Bay. 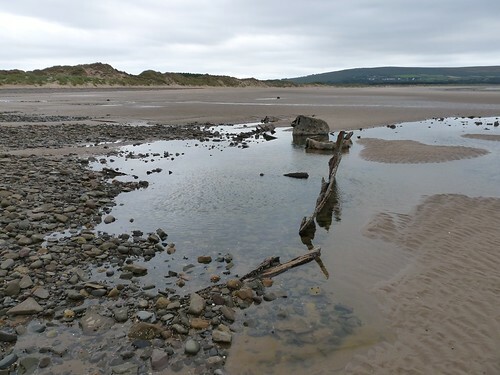 The presence of the boiler with this wreck and a lack of evidence for other wrecks at this location leads me to believe that this was one of the tugs that was leading the sailing ships out into the bay. One can only imagine the horror of that night.